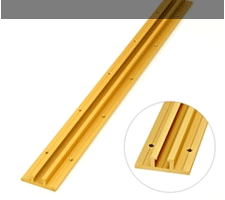 extremely wide variety of common and special purpose jigs, fixtures and those one-of-a-kind work helpers that you typically find hanging on the walls and rafters in just about any woodshop. But it’s the NEW INCRA Build-It Panels and T-Slot Panel Connectors that put the punch in this system. 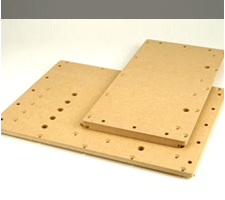 The Build-It Panels are pre-cut and pre-drilled to instantly accept all of the components of the system. 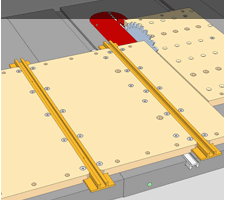 You can add a Miter Slider in seconds and it’s automatically square to your saw blade with no tedious measuring or drilling required, then mount a fence in moments using the counterbored mounting holes. 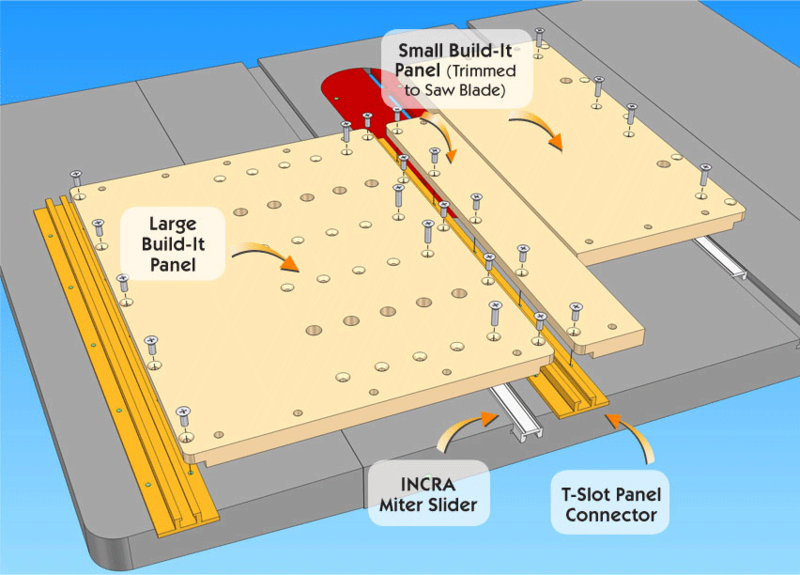 The “glue” that holds everything together is INCRA’s innovative NEW T-Slot Panel Connector. 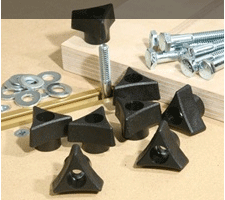 These specially designed aluminum components serve to simultaneously interconnect the panels and provide a rock solid T-Slot for adding and holding jig accessories, fences, stops and Build-It Clamps. 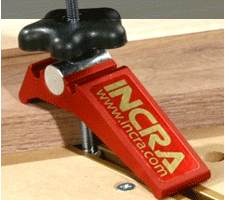 Pre-cut and pre-drilled to instantly accept INCRA's Miter Sliders and T-Slot Panel Connectors. Available in18" and 24". Interconnect the 5/8” pre-cut and pre-drilled MDF Build-It Panels in seconds. Available in two lengths: 18” & 24”. 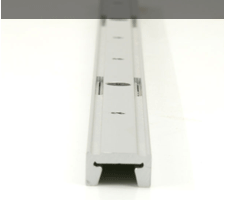 This long aluminum runner adjusts from the TOP for perfect sliding action. Available in two lengths: 18” & 25.5”. 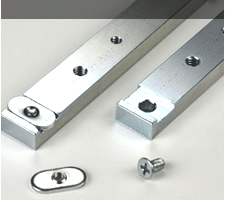 The heavy steel construction is more rigid than any wooden or plastic runners. 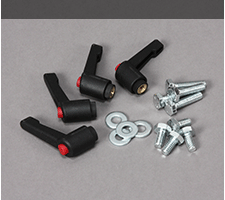 Easily attach user made stops and accessories to the T-Slots Connector on your Build-It assemblies. Ratchet knobs are perfect for tool-free operation of any 1/4" T-slot connection. Works with any T-Track and Build-It T-Slot Panel Connector! Interconnect any two T-Slot components. 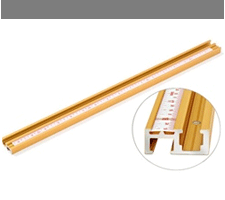 Available in 18", 36", and 52" lengths. Locate ANY cut on ANY machine EXACTLY where you want it. The perfect accessory to the Build-It System. 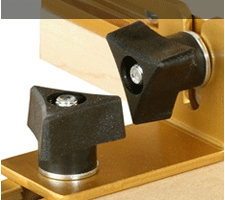 Locks your workpiece in place for consistent, safe cutting results. 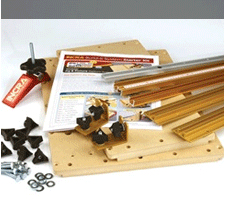 Provides all of the Build-It System components you’ll need to produce any of the 5 different beneficial jigs.